This post was sponsored by Armstrong Ceilings. 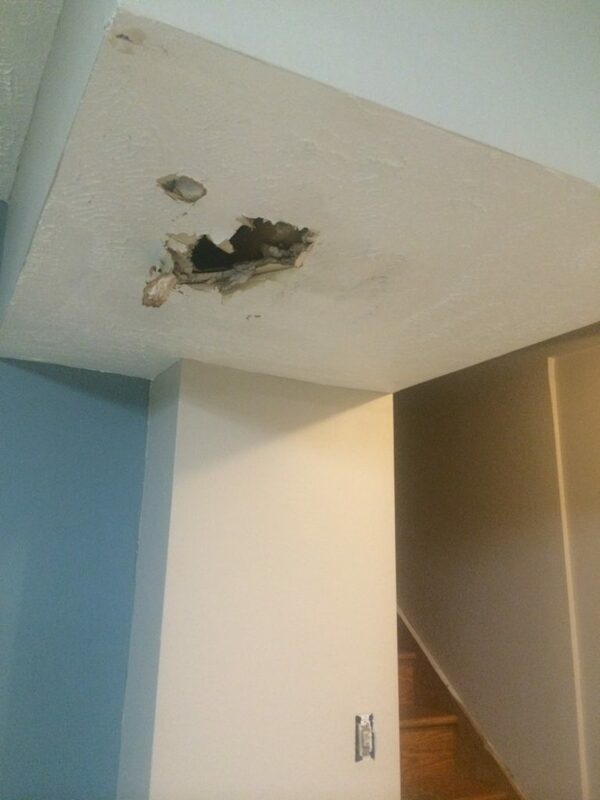 However, I am at fault for leaving the hole in the basement ceiling like this for nearly a year (no lie–shameful, I know!). Not just because I am 1) too cheap to pay someone to do it and 2) haven’t yet learned how to do it myself. But also because 3) I’m stuck in the middle of a basement makeover and am not sure what I should do with the ceiling. I figured I could repair and redecorate all in one go. What had happened was…….Our refrigerator tube/hose thing-y busted last year. Thank God hubby was home at the time, or it could have been much worse! But now we’re left with this gaping hole, which I need to repair, along with scouting out some decorating ceiling ideas. Basements are so finicky. You can’t put just any ole’ materials in your basement, since basements can be moist. You have to make sure whatever materials you’re designing with are moisture and mold resistant. I just don’t know enough yet about which materials to choose. I do know that some homes have drop ceilings in the basement which allow easy access the ductwork or pipes in the case of a leak. But my personal opinion, they’re not very cute :). Functional, yes. Cute?? Hardly. Check out this drop ceilings in someone’s basement below. It’s not my basement, yet yes, they need a new ceiling, too! My basement doesn’t have drop ceilings. But it’s definitely outdated, too! I’ve got plaster up there, in the lovely pattern of “textured spackle.” And quite eerily, my basement layout looks almost identical to the above basement! 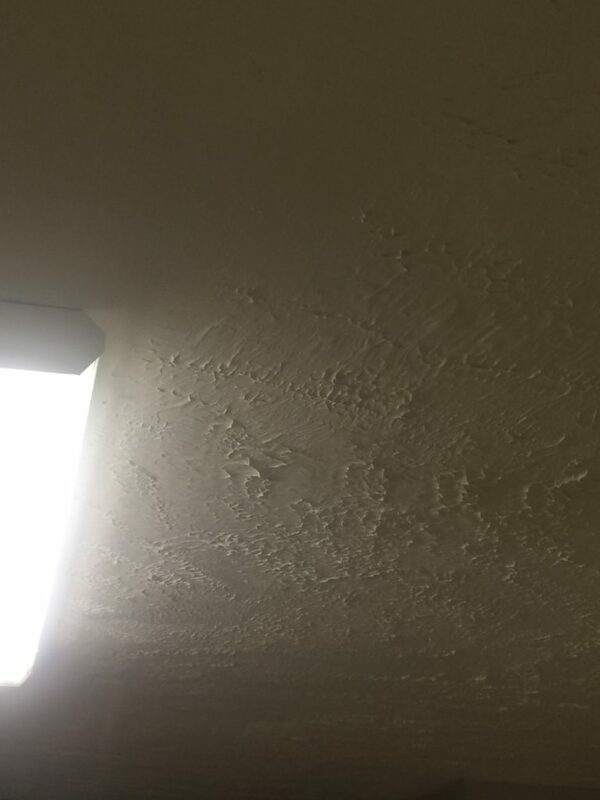 A closer look at my textured basement ceiling. It’s time to do something about that, wouldn’t you agree? I’m going to admit that I usually never do anything special to my ceilings. As much as I love DIY, I have very little experience and creativity when it comes to designing ceilings. But remember a couple months ago I posted about finding inspiration in public toilets? 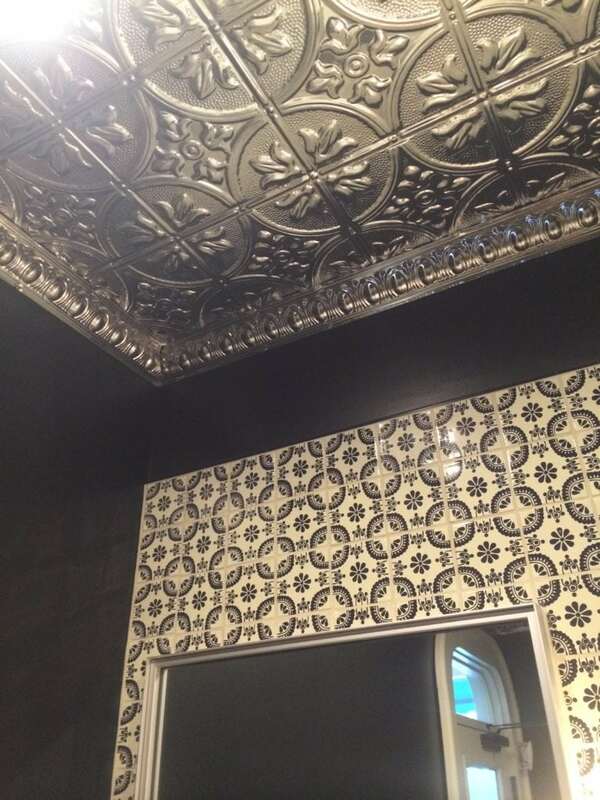 I saw this tin ceiling in the bathroom of a nearby restaurant close to my job, and fell in love with it. Something about it struct a chord in me. It was so pretty! 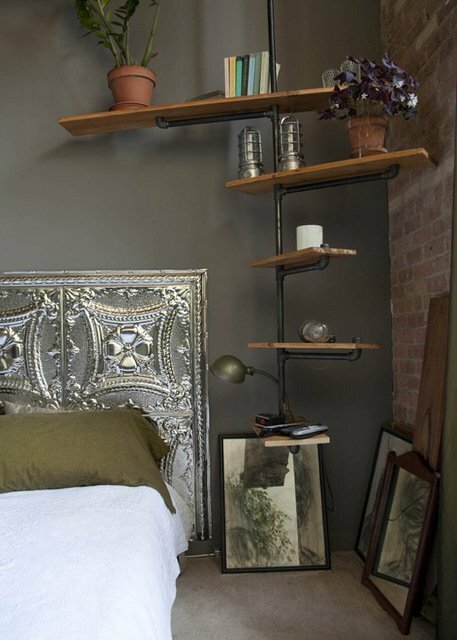 It really inspired me to stop looking at ceilings as just a way to hold up the walls, but to start thinking of how to bring it into the design. I’ve never installed ceiling tiles, so I’m a bit clueless. Armstrong Residential Ceiling has a great Ceilings 101 Guide for learning about ceiling types, ceiling myths, ceiling maintenance, and most importantly, how to design and install ceilings and tiles, etc. You can best believe I’ll be scouring that guide for tips! Here are a few pics of what I would love to do with ceiling tiles in my basement. 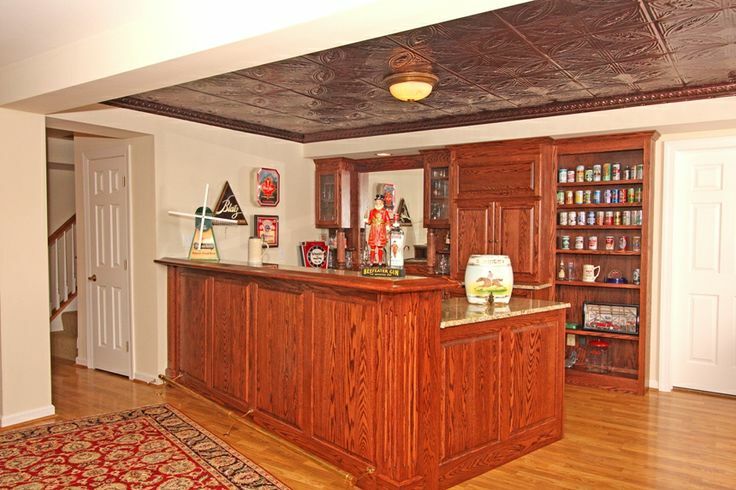 If we decide to put a bar in, wouldn’t it be awesome to put some tin ceiling tiles over the area? I love shiny silver ones most, but this works, too! In a game room, this would be awesome, even painting them. I do have a pool table. Hmmm…..perhaps I just might over the pool table! 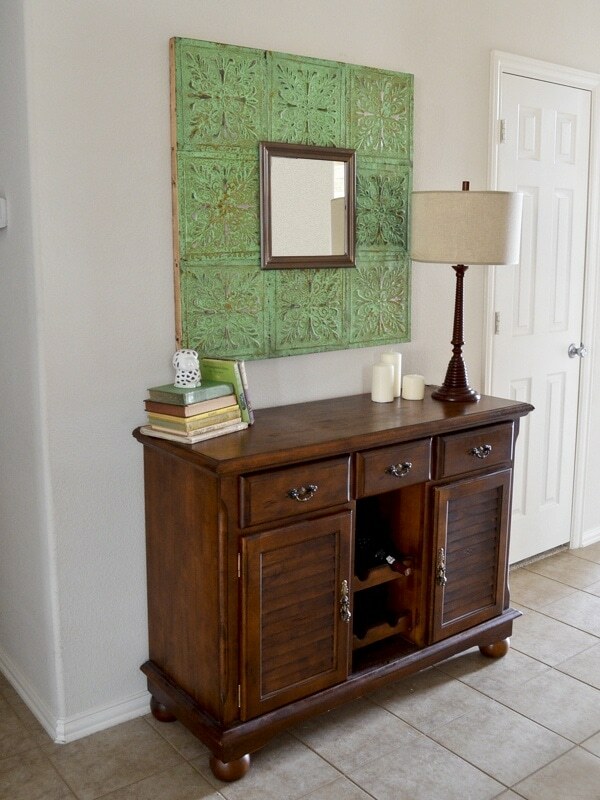 I never would have thought to use tin tiles for THIS… Check out some of these creative ideas for uses with any left over tiles!! How cool are these ideas!? So what kind of ceilings are YOUR favorites? 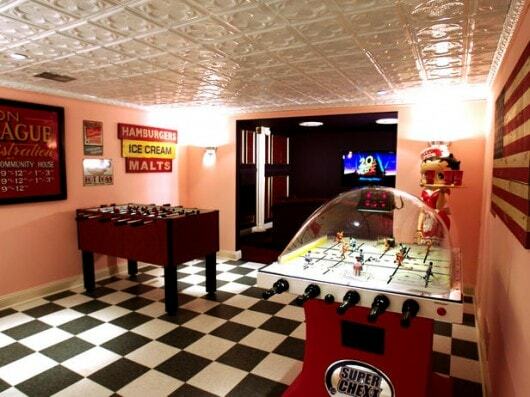 And what would you do if you had an outdated basement ceiling? Leave a comment below! A really great post Serena and don’t worry about the year wait! It is quite a task to repair it and even just remodel a basement. As you said above, it has to be done with so much care. Materials and design are so important. 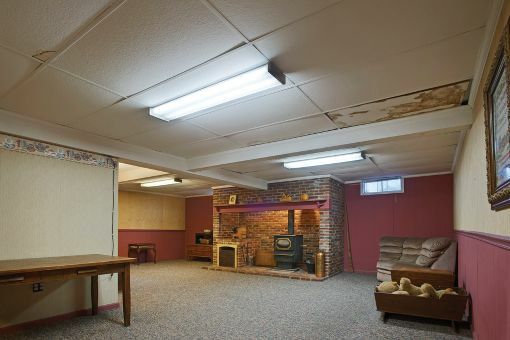 Your basement is pretty much a blank canvas right now which means you can do whatever you want with it, definitely including fixing the ceiling! 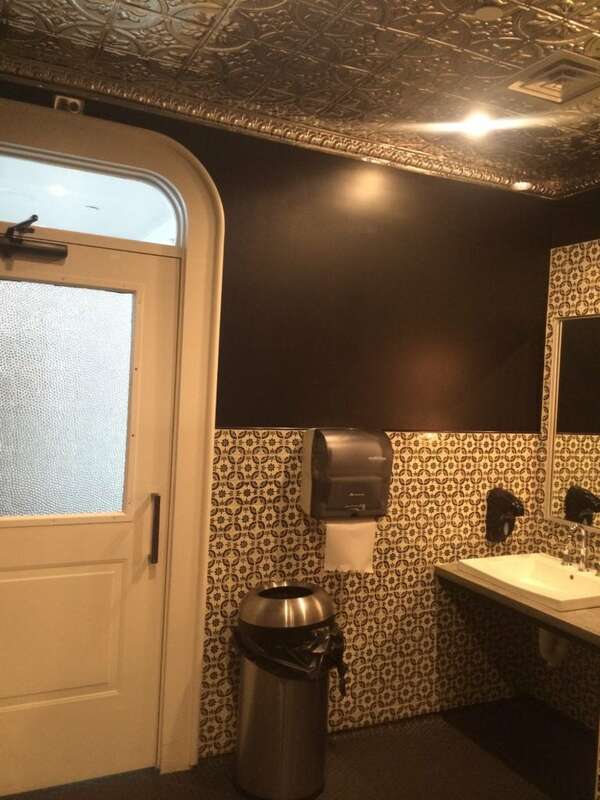 I’ve never really thought about using tiles on the ceiling and it is hard to believe that the one you have shown above is actually in a toilet. It might be a good idea to get professional help for the ceiling. 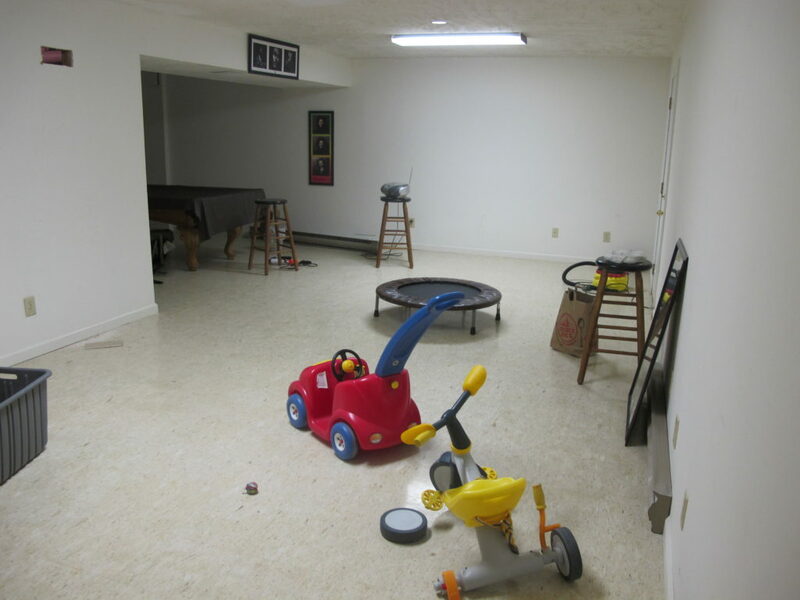 Have you decided what you want to turn your basement into? Remember your basement ceiling is just as important as any of the other ceilings on the above floors! Basements are a pain but you have to be real careful! I love tin ceiling tiles!! I dont know where I will use them but when I move I want to put them in my house somewhere! !